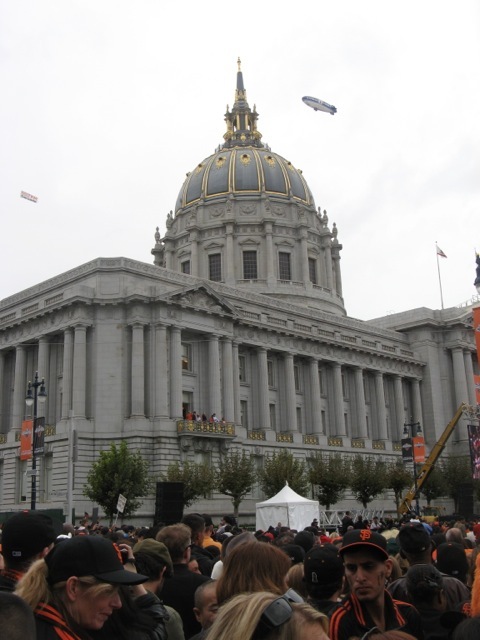 Today I went to Civic Center Plaza to celebrate the Giant's World Series Championship. 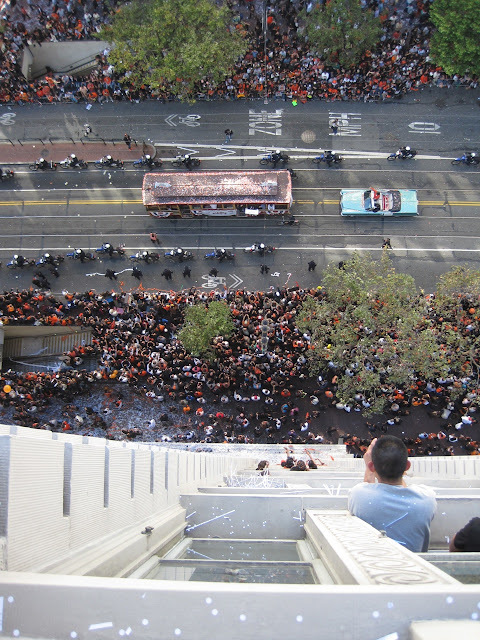 Two years ago I celebrated, but in a much different setting - on the 11th floor of a Market Street office building. What a difference the point of view makes. 2010 Parade - If in office building, your duty is to spread the confetti. 2012 - Civic Center = on the ground and a lot of waiting for the parade to arrive. 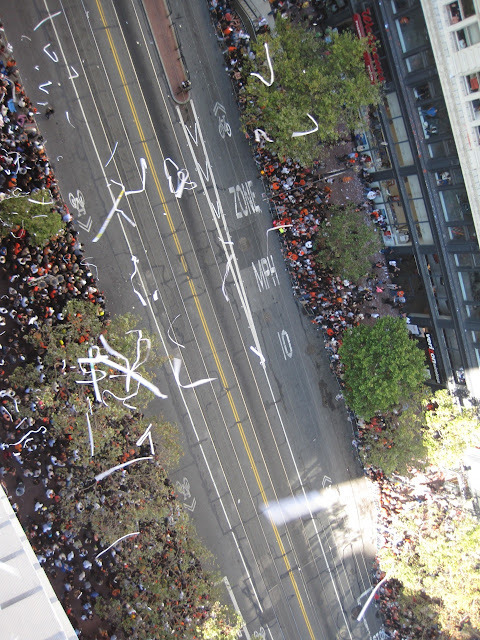 2010 - Market Street 10 story view = birds eye perspective and throwing out lots of "ticker tape". 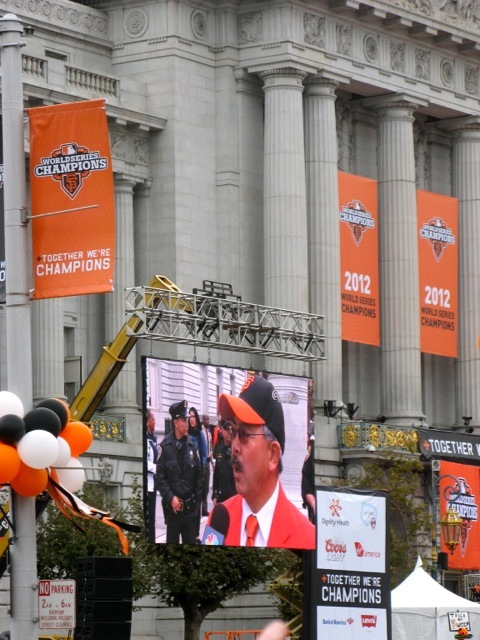 2012 at Civic Center was nice, but overcast. 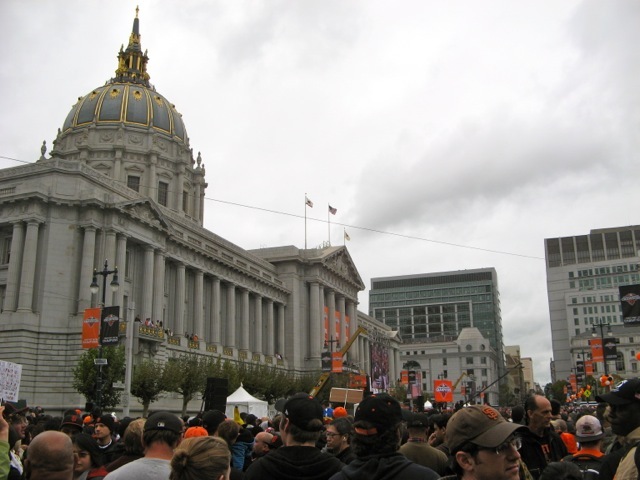 Sadly I only got to attend a short bit due to my baby requiring me to leave the plaza before the team even showed up. 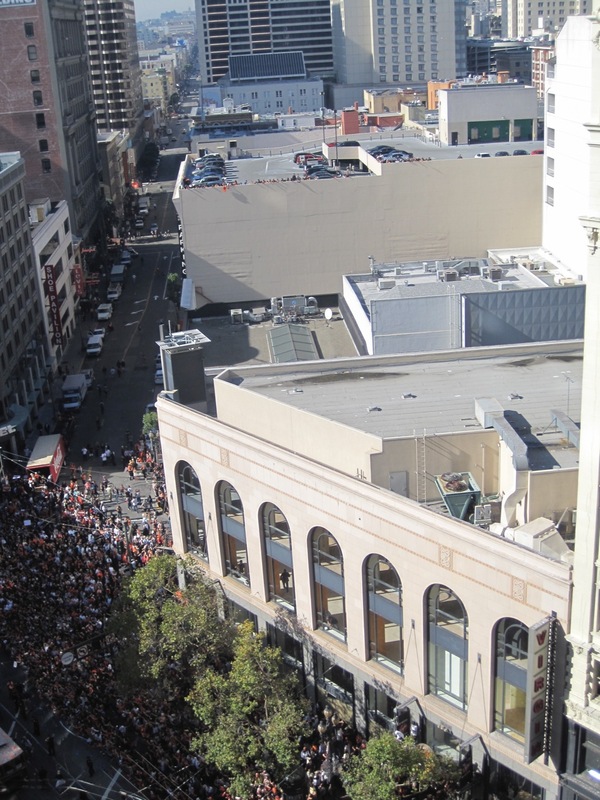 You can see better shots on Burrito Justice's post, "Land of the Giants"
Much more after the break, including shots from 10 stories up on Market Street, looking down on the 2010 Giants victory parade. Why can't the events like the World Cup have good sound systems or screens like this? Or am I stuck in 2006 World Cup mode? 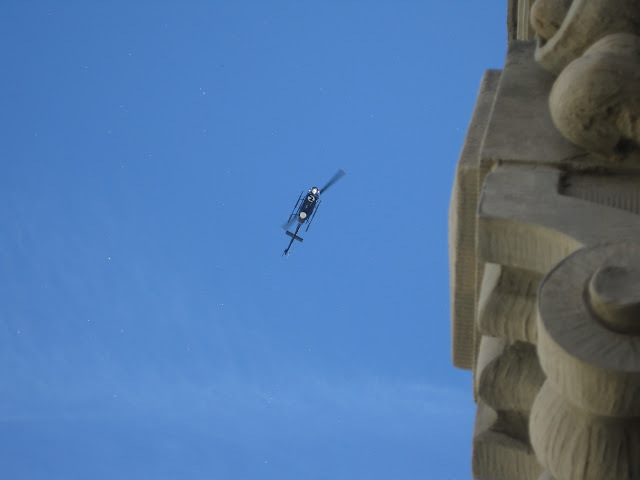 Plenty of aerial advertising! 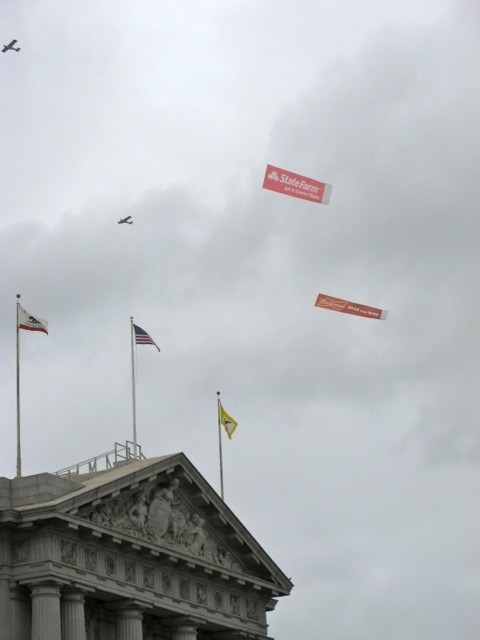 Interestingly, any advertising was allowed from above, whether State Farm Insurance or Budweiser, or Vodka! Alcohol however was a no-no on the ground. I've never seen more bottles of liquor, especially vodka poured out. At moments, the reek of vodka on the pavement was stronger than the wafting smell of week. 2010 was a totally different story. From the 11th story of the Humboldt Savings Bank Building, the view was quite amazing. Although far from the action, you could see everything, and hear the amazing roar of the crowd. You could also read the speed limit on the street in the bus zone. On the ground the crowds were at least 10 people deep, even before the parade began. I imagine it was the same in 2012. 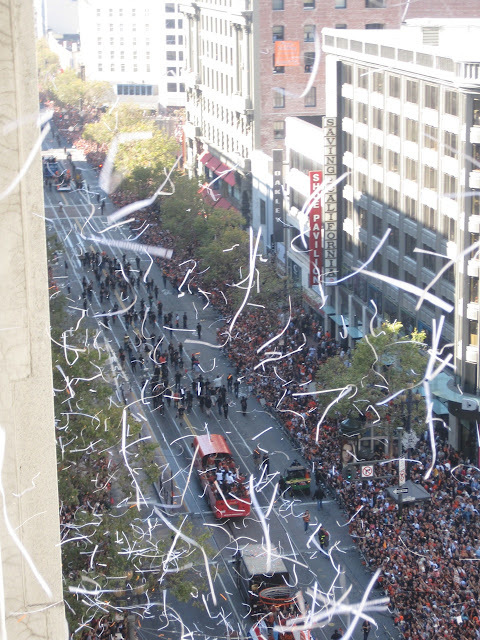 Ticker Tape. 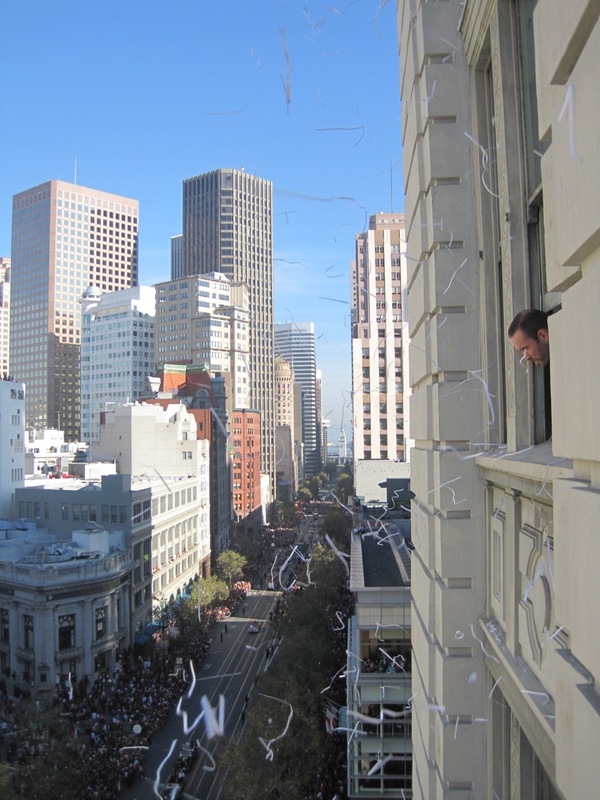 Okay, it's really just shredded sheet paper. It was all to be recycled anyway, right? 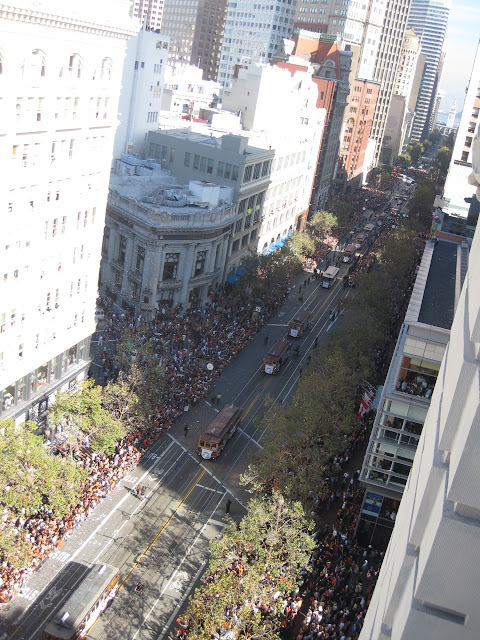 View looking east down Market Street, 11 stories up. Bochy with trophy. 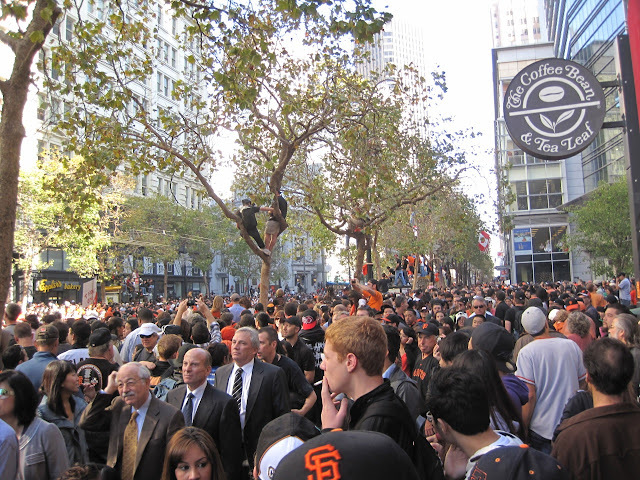 Some things were exactly the same in 2010 and 2012. 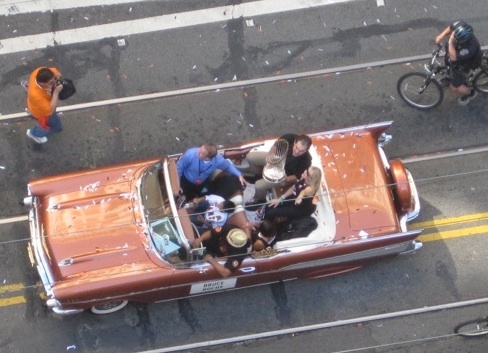 At least he was in a convertible both years. 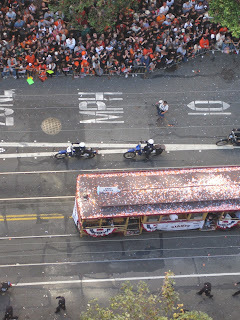 In 2010 the team was in faux cable car BUSES! You couldn't see them very well from the street if they weren't facing your side of the street, and you sure as hell couldn't see them from 11 stories up. 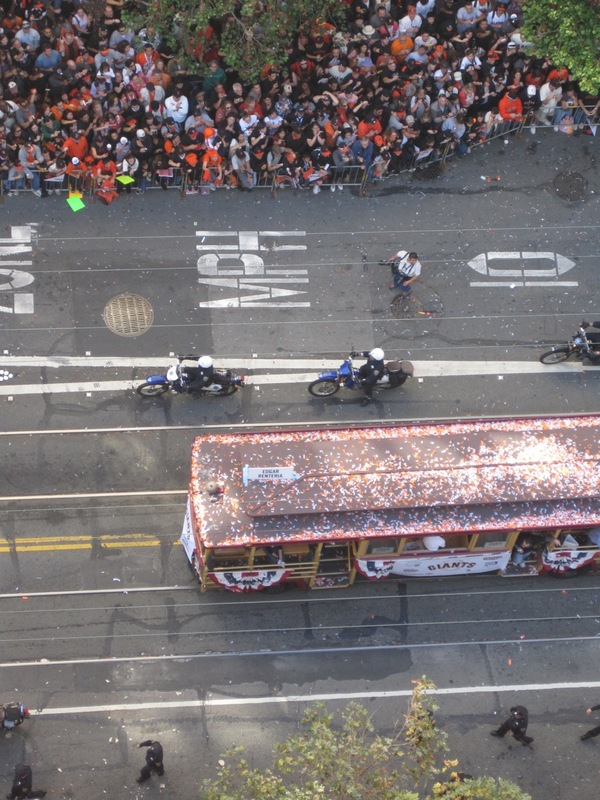 The team arrives in Cable Cars Buses. 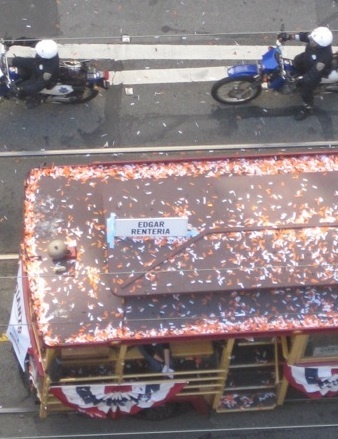 Whose idea was it to put them in cable cars? Bad idea either way. 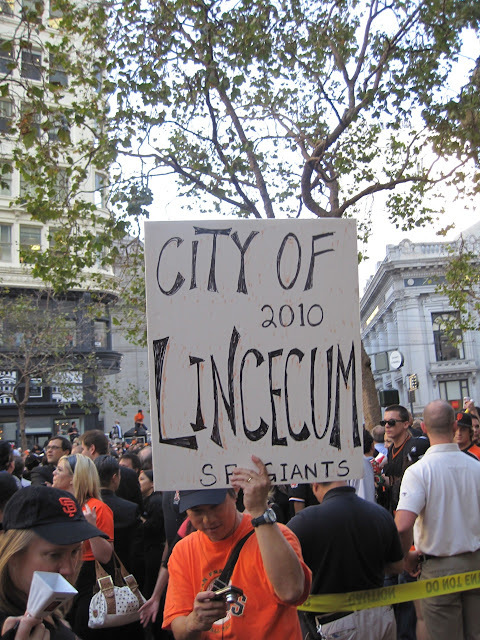 Some players were not on both 2010 and 2012 teams. Actually most players were not. Although Edgar Renteria left after 2010, you still have to admire him for that Game 5 home run to win it all. Note this is only a shot of his cable car. I have no idea where he really was. Was the Virgin Megastore open in 2010. Actually I think it was already closed. You can see the empty floors in the windows. 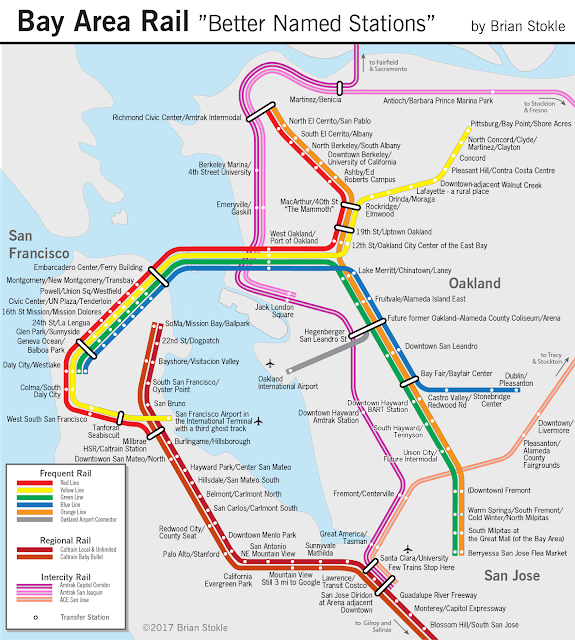 It actually closed in 2009. As in 2012 there were birds in the sky. In the high rise part of Market Street, it wasn't easy to see any ads, but good old Chopper 2 was visible. Yeah, the cable car buses are not cool for the parade. But they're not cool anyway. 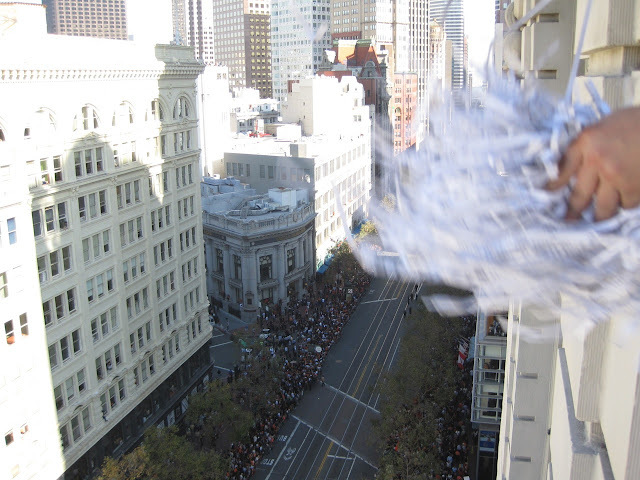 10 floors up was too far for me (but not for this guy: https://twitter.com/friscolex/status/263722604270063617); next year I'll have a different approach. The dragon looked cool, though (https://twitter.com/friscolex/status/263723535011311616), but I'm a sucker for anything vaguely related to Chinese New Year. 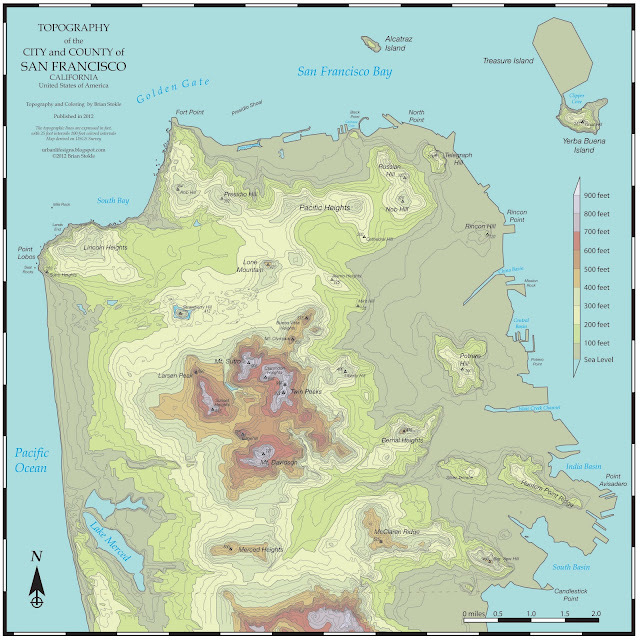 That guy on the ledge on the SF Centre? or the Bong Buidling is pretty spooky. I wonder if he has someone holding his arm out of shot.